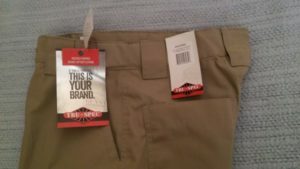 This is an easy pick….Tru-Spec 24/7 Tactical Pants….there are no other slim fit tactical pants that I could find and I have 6 pairs. Most tactical pants are loose fitting or baggy. This is by design because of the nature of tactical pants. You need to be able to run, jump, crawl and climb in them. Loose fitting clothing makes this easy and/or possible. Tight fitting or slim fitting pants might restrict body movement. Most tactical pants are loose fitting….except for Tru-Spec 24/7. Workmanship: double stitching, no loose threads, no strange cuts or weird designs. All dimensions are very precise. Design: pockets are deep and well located. 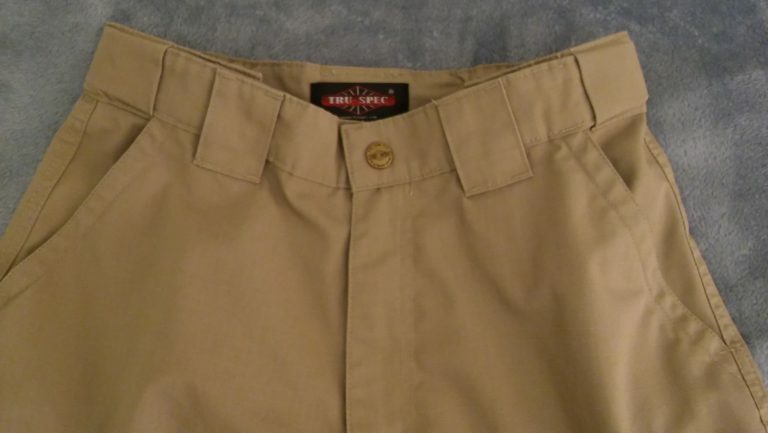 Belt loops are wide and numerous.